Be aggressive... mash with the Backman Shoppe Power Load Z4000! The Z4000 bats for 2016 are made as a 3-piece, constructed out of 100% Pure 360 Composite material. The barrel-to-handle connection is held together using the TRU3 piece, which significantly eliminates vibration and efficiently transfers contact energy back to the barrel. Speaking of the barrel, Louisville uses a Grit Blast Finish to create more spin on the ball. This spin will increase the intensity of your hits, making them go further at a faster speed. Lastly, the Z4's have a 7/8" Tapered Handle, 12" Barrel Length & the standard slow-pitch 2 1/4" Barrel Diameter. Power Loaded - Made for power hitters, this Z4000 has a 1.5oz End Load for extra mass at the end of the barrel. USSSA - This bat is approved for USSSA, NSA and ISA softball associations. Get your Z4000 Power Load Slow-Pitch bat today, right here at CheapBats.com! No Hassle Returns, Batisfaction Guaranteed! Pros: I love everything about the z4000. Swings smooth and has a ton of pop. Best bat I've owned in quite some time. Highly recommended. Cons: Took a little extra time to wear in. It's a bit dead until you get about 300 in the cages. Pros: Buddy of mine bought this batt and the entire team hit with it, even the ladies. It feels heavy but swings really nice. Just got the 28oz green for my bday can't wait to see how it hits. Pros: Very cool design. Just used it the other night. Team bat. Team hit well. The end load takes some getting used to, its very heavy. I am a base hitter, So for pop I will have to wait and see if the other team members can get ahold of one to report. I hit a line drive at the shortstop, about 10 feet before it got to him it sliced left about 8 feet. It was odd I've never done that before. Supposedly the new texture on the bat causes that. It seems like it will be a good bat. I didn't give it a 5 because its only been swung 8 times. Not sure on durability. 5 of 20 found this review helpful. What is the difference with the out of wrapper bat? Does it still have a warrenty if I buy it? Out of wrapper bats are new unused bats that have no manufacturer's wrapping on it. Out of wrapper bats do not come with a warranty. What does it mean this bat is for "bodybuilders"? By no means I'm a big guy but occasionally I can put the ball out, I want to hit more home runs but I'm torn between this bat and the end load one. Which one would work best? 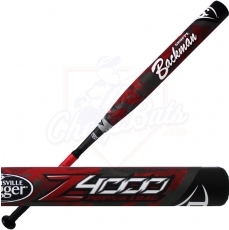 The 2016 Louisville Slugger Z4000 Power Load USSSA Slowpitch Softball Bat SBZ416U-PL is not necessarily for "bodybuilders", but it just has an aggressive end load weighting to where you really have to be able to produce a lot of bat speed to take advantage of the barrel's power. If you can produce that bat speed, then you can probably hit some more home runs. 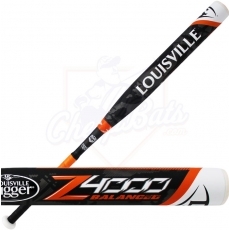 The 2016 Louisville Slugger Z4000 Power Load USSSA Slowpitch Softball Bat SBZ416U-PL is going to be a 3-piece bat, while the Z2000 you have is a 2-piece bat. 3-piece bats have more flex and less vibration, while 2-piece bats have a more sturdy feel. It just comes to your preference on that. They are made out of the same composite materials, so durability and performance of the bat overall shouldn't be much different. Do you guys have a video for this bat? 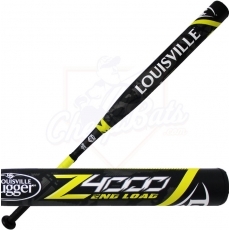 We should have a video made for the 2016 Louisville Slugger Z4000 Power Load USSSA Slowpitch Softball Bat SBZ416U-PL by the first week of March. Hopefully no later than that.